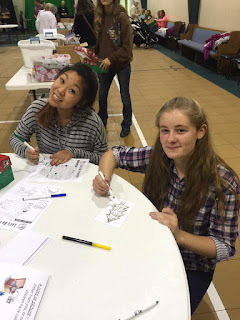 Our family belongs to this amazing homeschool co-op called Aspire and we stay busy with them. They keep us hopping! 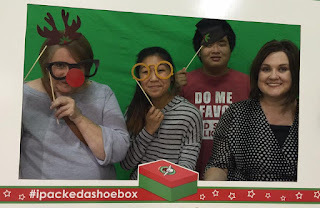 Anyway, our co-op and church partner together for many activities and we've been collecting donations for Samaritan's Purse Operation Christmas Child shoebox project. This is a wonderful organization that sends a shoebox packed full of gifts and needed items to over 100 countries around the globe. Children are shown that someone loves them and so does Jesus. 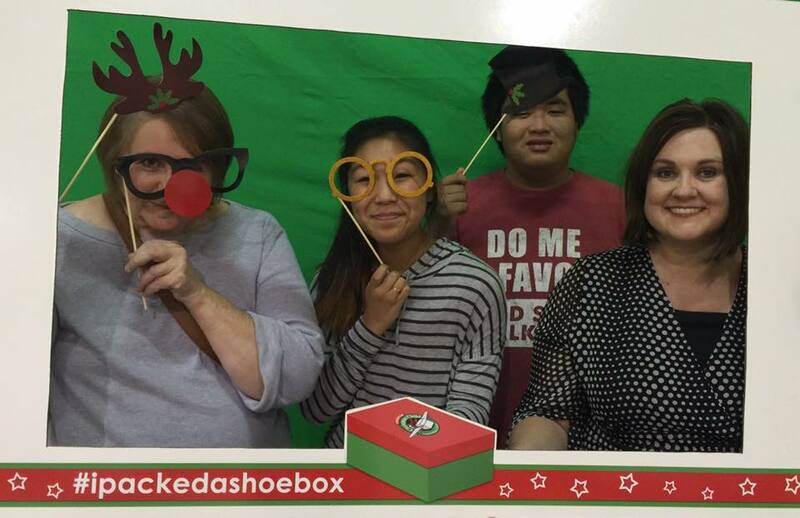 My mom the kids and I went to the packing party and we each packed around 7 shoe boxes. 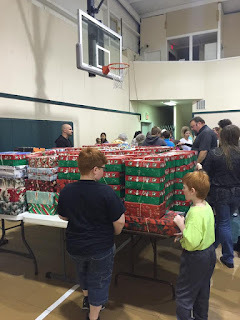 We prayed that the children receiving these boxes would get what they are needing. 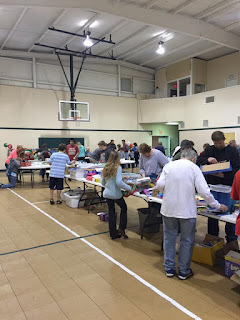 Each box contained many items but ours all had a toothbrush, toothpaste, washcloth, and soap along with a WOW item like a doll or truck and pencil, paper, pens, socks, etc. The goal for our church was 250 shoe boxes and with the Lord's blessing of many helping hands and generous hearts we were able to pack 363!!! Our family put trackers on our boxes so we can see where they went and hopefully we'll be able to contact some of the children that receive the boxes. If you'd like more info on packing parties in your area or how you can get involved please click on the link below. Kenzie and Hannah writing personal notes to add to the boxes. If you're a savvy shopper or a coupon queen you can really help children in need by stocking up throughout the year. Here's a link to a monthly list of items that are needed!